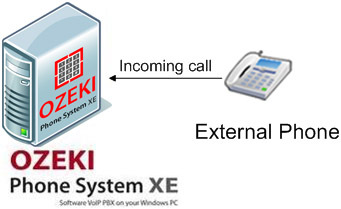 Ozeki Phone System XE makes it possible to connect several types of devices to it, and make dial plans which handle the Call routing for those devices. There are several types of call routing in Ozeki Phone System XE. Below, you will find some information and links to detailed step-by-step guides about them. Inbound dial plans are made for calls dialed from outside, towards the devices of Ozeki Phone System XE. Check out our step-by-step guide about Inbound calls. Outbound dial plans are made for calls dialled inside Ozeki Phone System XE, and sent to external networks. Check out our step-by-step guide about Outbound calls. Missed dial plans are made for managing missed calls from Ozeki Phone System XE to external networks and vica versa. Check out our step-by-step guide about Missed calls. 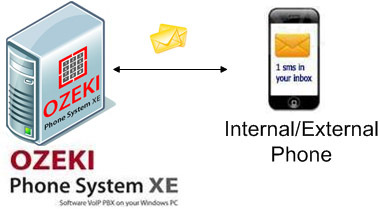 Messages dial plans are made for sending text message from Ozeki Phone System XE to external networks and vice versa. Check out our step-by-step guide about Messages. Time profiles can be used to setup such dial plans that will allow incoming calls only at certain times e.g. working hours, otherwise those calls could be forwarded to a voicemail. Check out our step-by-step guide about Time profiles. The making of Dial Plans isn't the only way to set up routing rules; you can create Routing Interceptors to handle more complicated routing rules, which can handle much more situations than the Dial Plans' previously set options, since you can write	your own ones. For example: if you would like to set conditions for attributes, which are not present within Ozeki Phone System XE, you can write your own Routing Interceptor for your purposes, by using your preferred programming language. These Interceptors are being called before the Dial Plans, so if there is a set Routing Interceptor which is able to define a (new) destination for the call, that will be routed to that destination. If the Routing Interceptor can't set the new destination, the call will be routed to the one, stored in the PBX. HTTP API: You can set a "Route interception URL" within the HTTP APIs, and you can provide commands to call routing by using the following languages: ASP.NET, Java, PHP, Ruby, Perl. To learn more about Routing Interception with the usage of HTTP API, please visit the guide, dedicated for this purpose. .NET API: With OPS SDK, you can connect to Ozeki Phone System XE, or develop third party application to implement solutions of your own, like Routing Interception. You can find guides for this purpose, which are written in C# .NET and Visual Basic .NET.